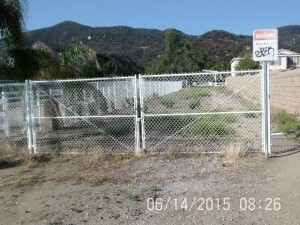 At the May 13, 2015 Wildomar City Council Meeting staff was directed to assume ownership and maintenance responsibilities for certain parcels of land lying between Grand Avenue and Palomar Street. A total of six parcels were added to correct a 2009 agreement. APN’s 370-443-018, 370-443-019, 370-493-027, 370-493-028, 370-500-018 and 370-500-019. 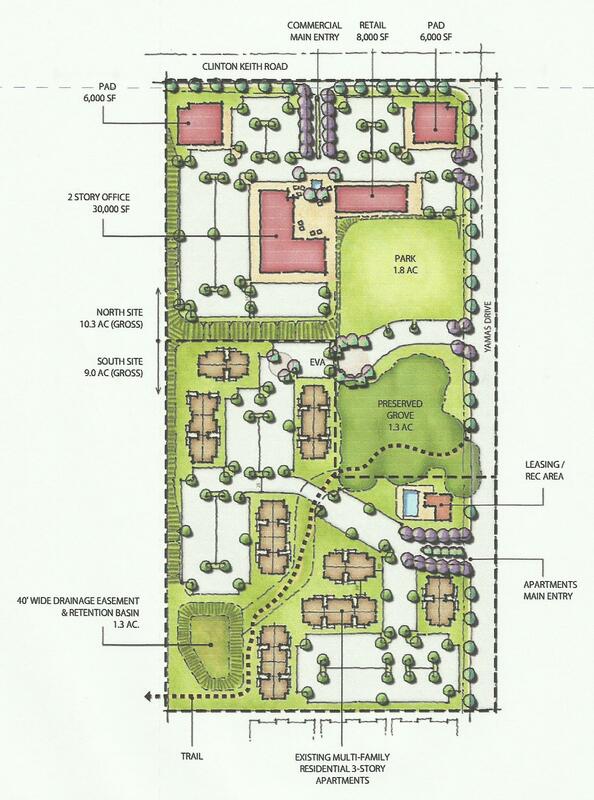 (Regency Heritage Park) Parcel number 370-500-020 was originally transferred along with Marna O’Brien Park, Windsong Park and an additional strip of storm channel bordering Windsong Park. This correction to the original agreement in my opinion continues to lack the mention of two APN’s thereby leaving those two parcels in the hands of the county. Compare to the map in the council agenda and see if you can tell which two parcels are never mentioned. The strips of land enhance the city’s trail system by connecting Palomar and Grand Avenue to the Park. What is left out of this information is the fact this property contains easements for the free flow of water for hundreds of acres of land surrounding Regency Heritage Park (approximately 1500 cubic feet a second during a 100 year event). Regency Tract along with Heritage Tract also drain into the park and this newly acquired property at several points. 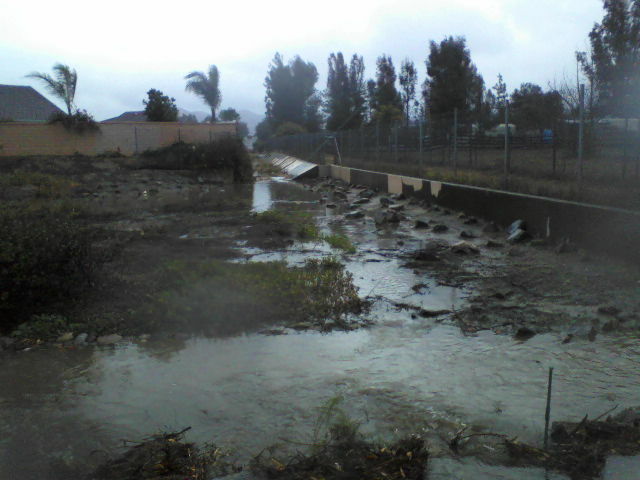 This with the drainage from as far away as Marna O’Brien Park, portions of the Windmill Tract along with a large portion of the Woodmoor Tract of Homes and the hills located west of Grand Ave. Easements for utility purposes granted to Elsinore Valley Municipal Water District also occupy a portion of these properties. 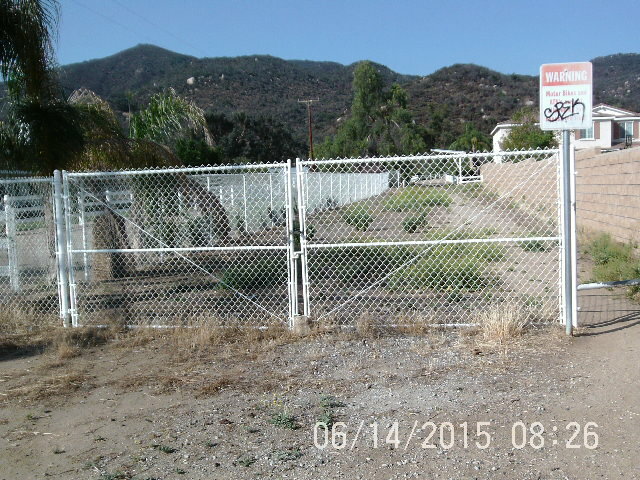 Over the years parts of this property were held by the former Ortega Trails Recreation District and the County of Riverside Economic Development Agency (EDA) under the REDEVELOPMENT PROJECT AREA No. 1-1986, AMENDMENT No. 1, LAKELAND VILLAGE/WILDOMAR SUB-AREA. Maintenance of the Lots for the Trails will now be the responsibility of the City. The city appears to be saying the cost will be funded by the Development Impact Fees for Trails even though out of the 26 foot width half is currently relegated to Storm Water Control for which we currently collect nothing in this area for maintenance. 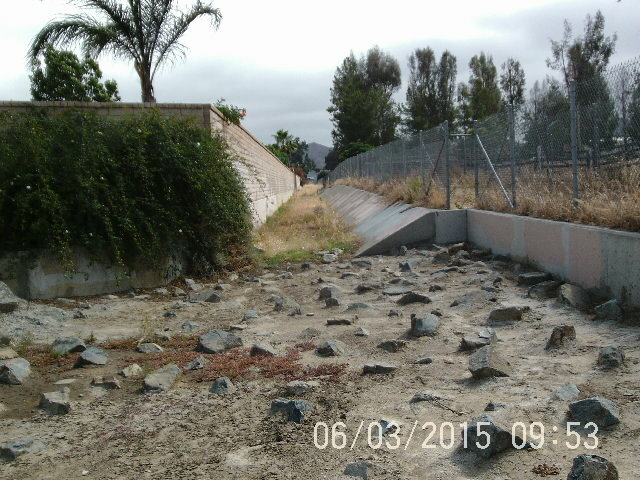 A portion of this trail easement lies over a 30 inch storm drain pipe which is 50% occluded with sediment. 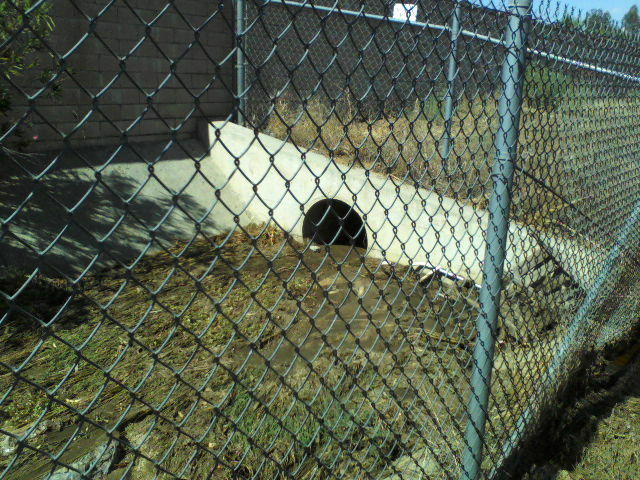 The last storm drain this city cleaned of approximately the same length and twice the diameter cost over $90,000. 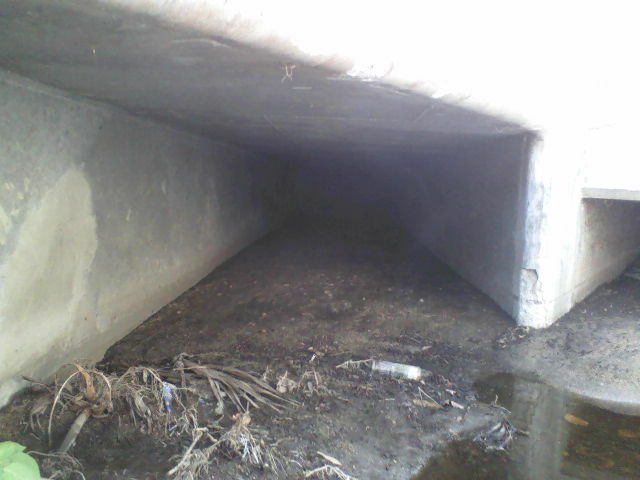 If this enclosed system cost half that were looking at almost 50 thousand dollars, not including the open channel portion of approximately 500 feet containing several feet of sediment, trash and weeds. 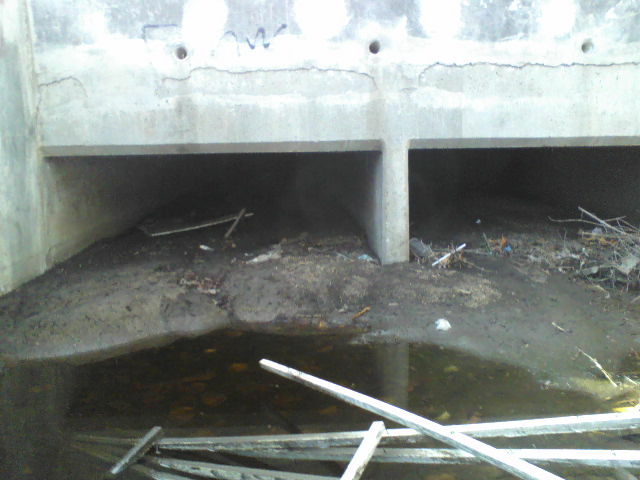 Then we have the portion under Grand Ave with a connection to the Woodmoor Tract which is filling fast with sediment. To the hills west of Grand Ave.
Maybe you are asking what’s the big deal, the city will surely find the money to improve this trail. If the past is any indicator don’t count on it. 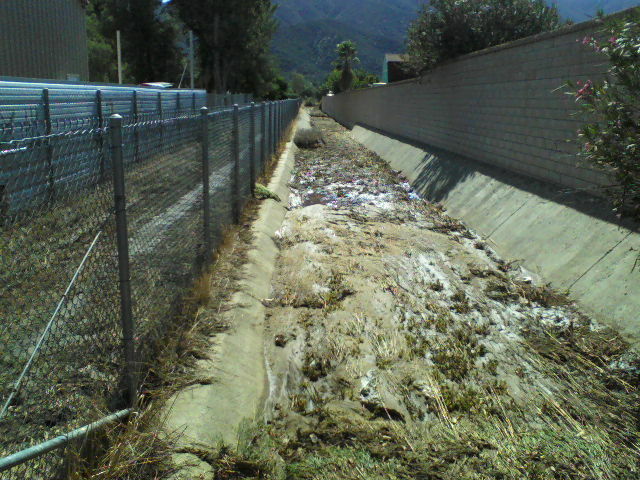 I refer you back to a project started by the County of Riverside and lost in the transition to cityhood. The link below explains it well. 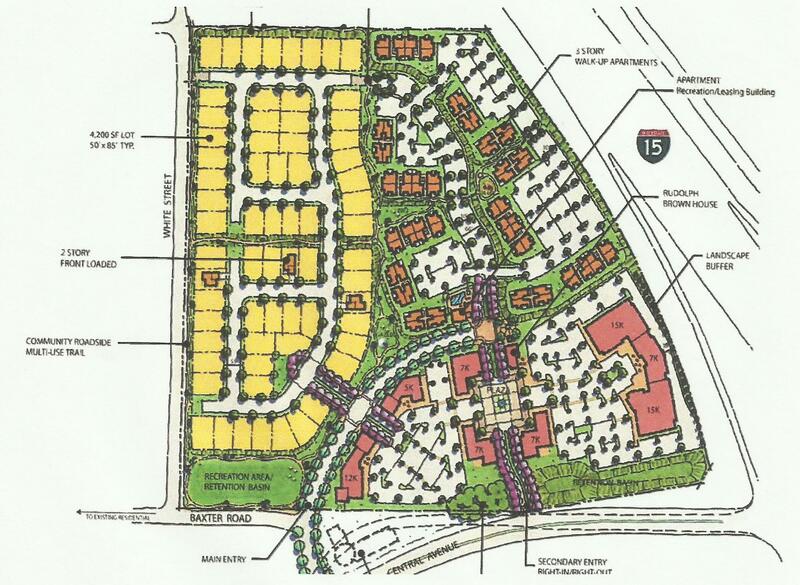 A past article about the loss of a $400,000 Redevelopment project on Palomar Bryant Streets. 2. TLC numerous areas of broken fences need repair, ruts and holes need to be filled. 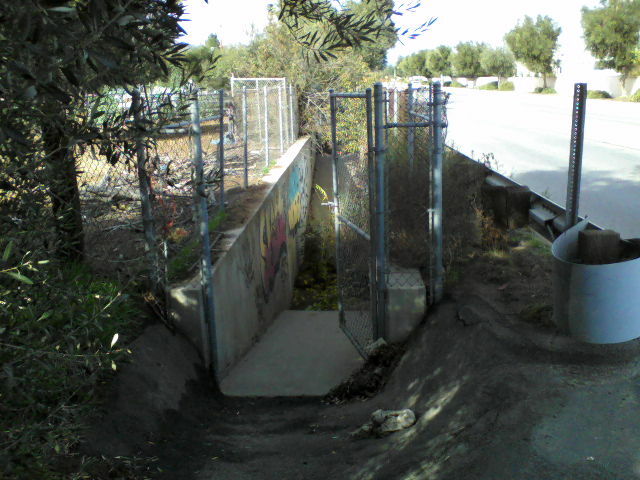 One entrance can be found on the mountainside of Grand Ave at the end of Gruwell St.
Gruwell Entrance and Hitching Area. with the other entrance at the end of Penrose St.
Penrose Entrance – not ADA compliant. Parking for those wanting security can be had along Grand Ave next to David A Brown Middle School, this is necessary due to both Penrose and Gruwell being unimproved roadways with no clear definition of where the roadway begins and ends. More on this trail to come. 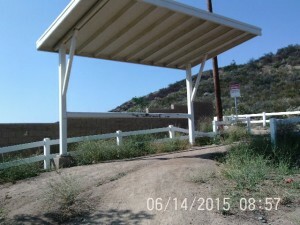 This entry was posted in Daily Ruminations, Future City of Wildomar, History, Parks, Shenaigans, Uncategorized, Water and Drainage Issues on June 22, 2015 by Kenny. 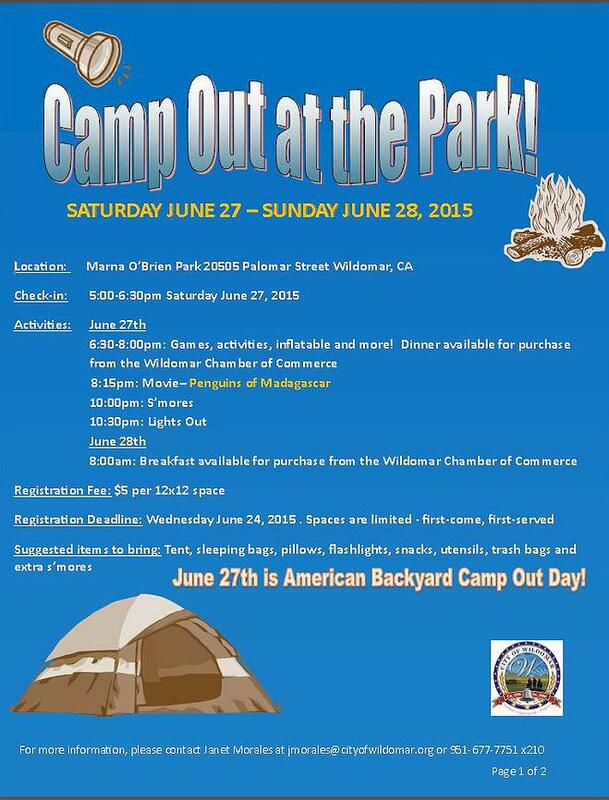 On June 27, 2015 Wildomar will be celebrating the National Wildlife Federations Great American Campout. IMPORTANT: You must register by Wednesday June 24, 2015 to insure you get a space. Space is limited. Then click on Camp Out in the Park, the second page is the form. but it doesn’t appear registration is possible from there. National Wildlife Federation’s Great American Campout is also part of Great Outdoors Month in June, a month designated to highlight the many kinds of outdoor activities that strengthen our bonds with nature. For those that chose to do so you can “Take the Pledge” to campout in your backyard, your neighborhood, your local parks, state parks, and national parks, cabins, RVs, treehouses… you name it! — and be a part of the nationwide event! 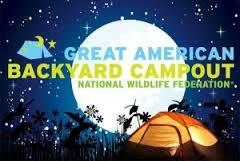 Top National Wildlife Federation supporters have agreed to donate $1 for every person who participates in the Great American Campout – up to $100,000! These donations will support ongoing efforts to protect the great outdoors for all Americans. This entry was posted in Daily Ruminations, Parks and tagged Marna O'Brien on June 11, 2015 by Kenny.